The National Air Transportation Association (NATA) has honored Sonoma Jet Center as the inaugural recipient of its Above and Beyond FBO Award. The award recognizes FBOs that demonstrate extraordinary community outreach, excellence in customer service and a commitment to safety. FBOs provide essential services to keep general aviation healthy, sustainable and successful. NATA launched its FBOs Above and Beyond initiative in March to highlight these exceptional businesses and the dedication of its leadership in serving as partners within the industry and their communities. Sonoma Jet Center is located at the Charles M Schulz – Sonoma County Airport in the heart of Northern California’s Sonoma and Napa wine country. Josh and Julia Hochberg, owners of Sonoma Jet Center, are devoted to advancing the next generation of aviators and giving back to the aviation community. Josh is the chairman of the NATA Aviation Business Committee; coordinator of the Young Eagles program; board Member for EAA Chapter 124, a founding member of the North Bay Disaster Area Response Team; and a ground school teacher at a local high school. Sonoma Jet Center has also helped its employees start a flying club so they can continue to grow their careers in aviation. Last year, Josh and Julia created the Sonoma Jet Center Fire Relief Fund, bringing in almost US$20,000 to aid airport colleagues who lost their homes and belongings in the 2017 wildfires. The Hochbergs also donated the use of their resources to host a large Sonoma County fire relief event that helped raise over US$500,000 to provide emergency and long-term relief to fire victims in the surrounding community. 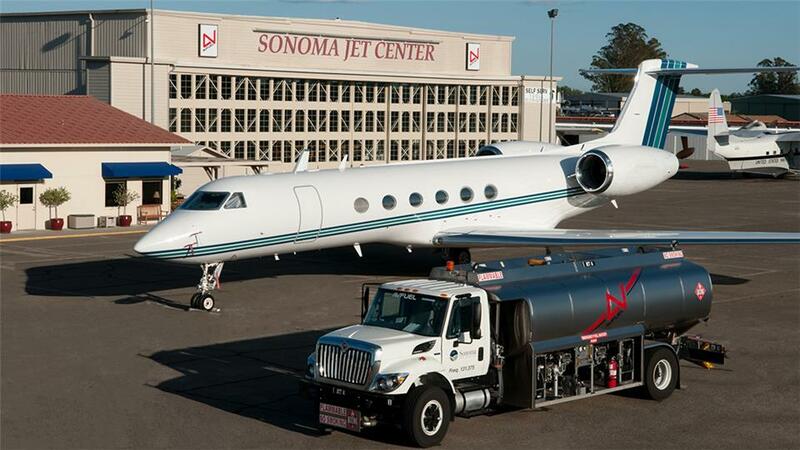 Sonoma Jet Center has demonstrated its commitment to safety through its Safety 1st qualification, IS-BAH Stage II registration and early adoption of the Safety 1st Fuel Quality Control Management System. Gary Dempsey, president of NATA, said, “NATA is pleased to build on its FBOs Above and Beyond program in highlighting exemplary FBOs. Sonoma Jet Center and its leadership are standouts in many areas, including altruism, efforts to inspire future aviation professionals, commitment to promoting industry-standard safety programs, and dedication to giving back to general aviation.